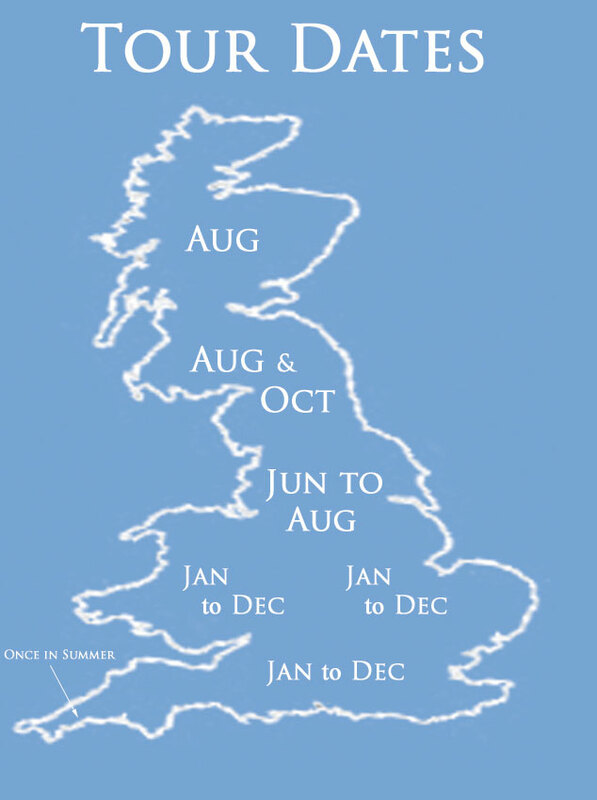 Our tour dates this year for "At Home sittings" in the UK are indicated on the map below. If you would like a sitting this year, Call Belinda on 01488685256, e-mail her at belinda@richardgreenlyphoto.co.uk or complete our online booking and enquiry form. If your area is not given or the dates don't suit, don't worry, give us a call anyway as the areas given can only be a guideline and our itinerary is constantly changing to meet the main areas of demand. Just organise 1 or 2 other families in your local area for the same day. Book a sitting with one other family living locally (not more than 40 minutes away) and get a 12% reduction on both sittings or even better book two other families and get a whopping 20% off all three sittings. That a saving of £102 each on a 3 child sitting. Call us as we can suggest families in your area who may be interested.